[…] Recently I was presented with a bamboo product, very skeptical! I resisted, as usual, but for the sake of finding a more sustainable product I went to Germany to meet the man who developed the product [note: called aMbooo]. I learned that there are over 1,000 species of bamboo. Just as lumber, there are many levels of quality. They selected a high elevation species with the characteristics required. Trunks are harvested every 5 years and they regrow without even replanting. Material is cut into 8′ lengths. It is then crushed to form 8′ strands of fiber about 1/8” in diameter. The strands are thermally modified (heated) to remove all sugar content. Now the bugs and molds, etc. have no interest. Then the strands are saturated with epoxy and compressed into 8′ sheets. The sheets are then milled like lumber into decking products and prefinished with oil. I saw the finished product on many installations that were exposed to weather for 8 years, and I was very impressed with how it held up. It looked better than Ipe. 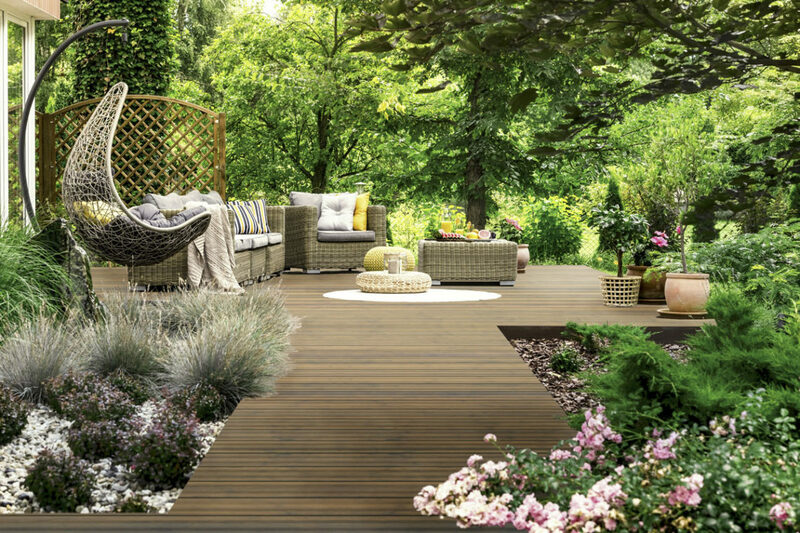 I was very happy to come home with a sustainable decking product with the same quality or better than Ipe.